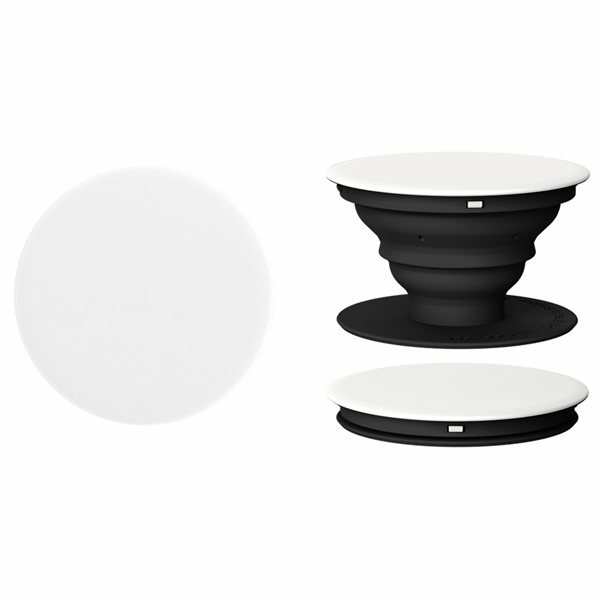 The PopSocket Phone Stand from AnyPromo is a revolutionary phone stand and phone holder that pops out and then snaps back flat. Not only are Pop Sockets extremely handy as a media stand, they are great for way to get brand exposure every time someone takes out their phone. Available in 3 different colors with a 1.3" diameter screen print or 1.53" diameter 4 color process print. 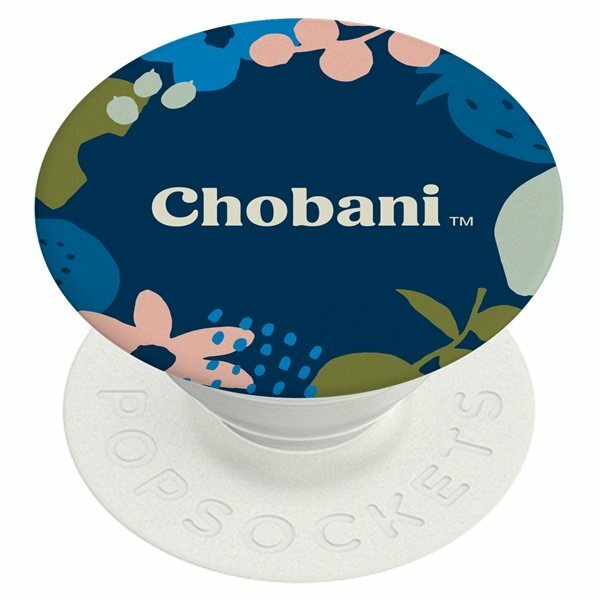 Promotional Pop Sockets are a customer-voted "Top 100" item because they are versatile and great multiple uses. 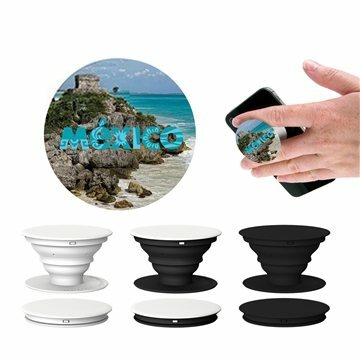 Pop Socket media stands can not only be used for watching movies on your smartphone, they can be adjusted for video chats or used as a grip for texting and taking better selfies. Pop Sockets are an ideal giveaway because not only does pretty much every working professional carry a smart phone, these trendy phone stands works with any device. The special adhesive gel that attaches the stand to the phone is not only repositionable, it is rinsable and doesn't leave residue on your phone. A PopSocket Phone Stand sticks flat to the back of your phone, tablet or case with its rinsible, repositionable gel. 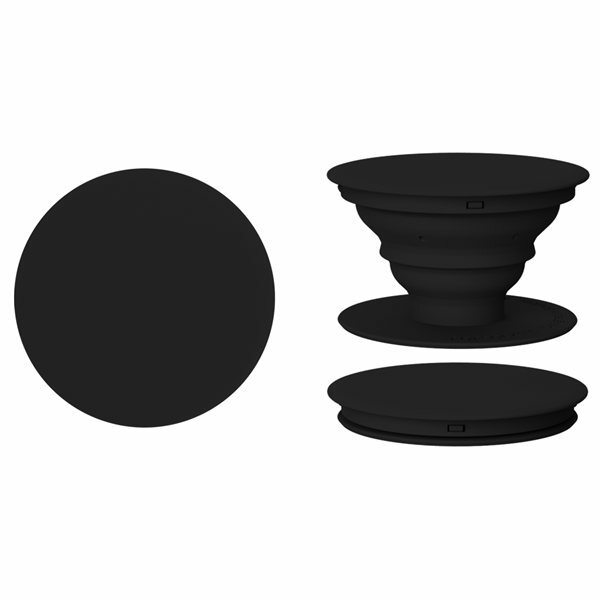 Once extended, the PopSockets become a media stand for your device, a photo or texting grip, or lower it for a video chat. 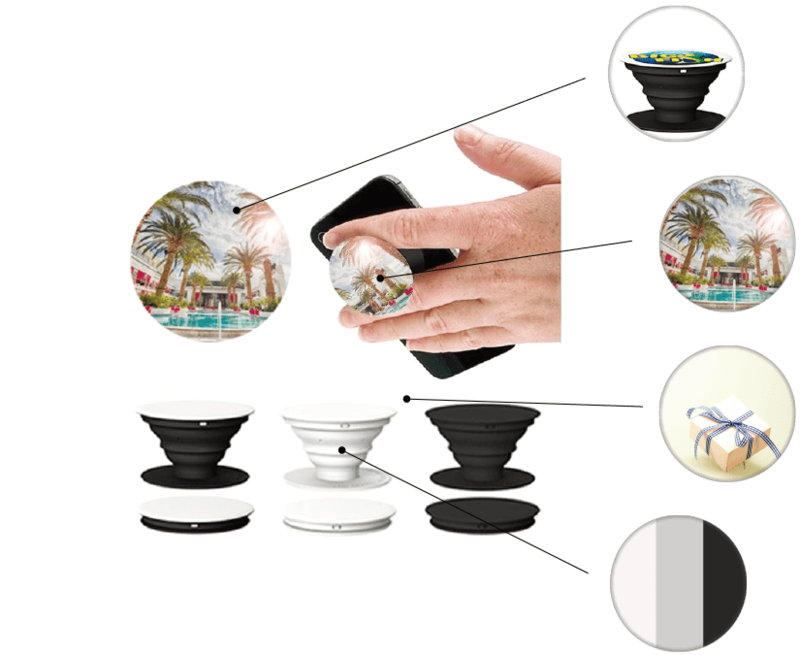 The possibilities are endless with PopSockets Phone Stands, and with full color imprinting. The back of anyone's phone is prime real estate for marketing your brand, and the best part is that PopSockets® can be used on any type of phone. Pop Sockets make a great giveaway because they're undeniably popular. It's a lot easier to promote to people who want what you're giving away. Not only are Pop Sockets a great phone stand for watching movies, they also make a great grip for taking selfies or high performance texting and swiping. These are genuine Pop Sockets with a signature high quality adhesive gel that sticks on securely but dosen't leave a residue if it's removed. Looking to save money on your next promotion? AnyPromo has got you covered with free shipping on orders of customized Pop Sockets. Our team loved these but the print quality was poor. Our logo appeared more red than the orange color we normally get/was requested. Our design on the PopSocket turned out perfect. We are using them as a stormwater outreach tool to encourage clean water practices at a local Fall Festival. These pop sockets turned out great. They were easy to design and showed up just in time for an event. 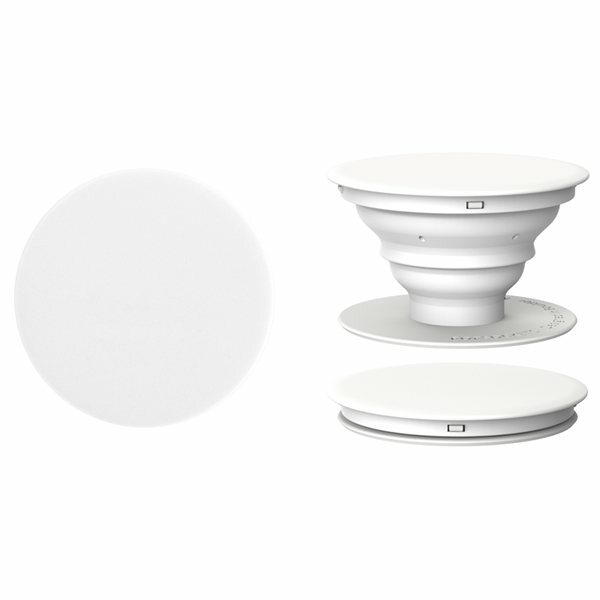 Great quality product as well. No peeling, so defects, very sticky.